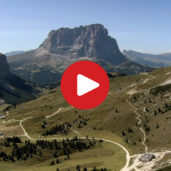 The nature park, named after the Odle and the Puez mountain groups, extends from the Val Gardena valley to the Val di Funes valley and the Alta Badia area. 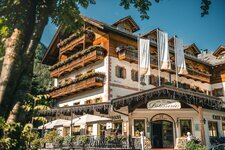 Selva Gardena is surrounded by the great landscape of the Dolomites with the striking peaks of the Sassolungo, Puez mountain group and Sella alpenstock. 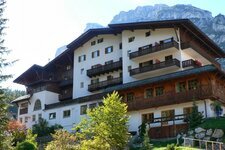 Ideal for mountaineering, climbing and mountain biking are the Passo Gardena and Sella. By the way, Selva Gardena is also famous for its wood-carved sculptures. The Odle Group and the Val di Funes are among the most photographed scenes in the region. The mighty Puez Group is one of the name-giving mountain groups of the nature park. Swiss stone pines can be found in the area around the 2,875 m high Mt. Sass de Putia. A typical example of the flora is the edelweiss, one of the most famous alpine flowers. Also marmots live in the Puez-Odle Nature Park which reaches an average height of 2,500 m a.s.l. This view of the picturesque church of St. John in Ranui and on the north faces of the Geisler group is one of the most famous and beautiful sights on the Dolomites. Treasure hunting in the Val di Funes valley in South Tyrol. The team of peer.tv travelled the valley and its places Tiso, S. Pietro and S. Maddalena, the birthplace of the Alpinist Reinhold Messner. What we learned from this discovery journey in this relatively side valley of the Valle Isarco is, that gems do not necessarily need to scintillate to be precious. A treasure is above all to be one with nature, above all if nature is that lush like in the Val di Funes. Winter hiking and toboggan fun beneath the Geisler peaks. 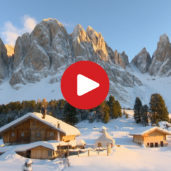 A 5½ km long toboggan run, beginning at the Malga Geisleralm, winds its way down through the snow-covered Winterland of Val Di Funes. A toboggan adventure for the whole family is guaranteed, right here in the middle of the Puez-Odle Nature Park with a few culinary surprises as well! 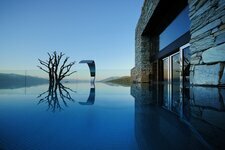 We enjoy a breathtaking night in front of the Odle, surrounded by an awesome winter landscape. Right at the heart of the Dolomites you will find the Puez-Odle Nature Park around the famous - and name-giving - Odle Group and Puez Group. It boasts all those kinds of stones, sediments and weatherings that are oh-so typical for the Dolomites. Among them there are the Val Gardena sandstone, the Bellerophon strata and the Werfen strata which dates back to the time when the primordial ocean covered this area. 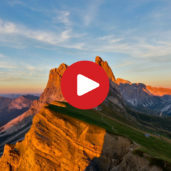 On an surface of 10,722 hectares, the nature park - “Naturpark Puez-Geisler” in German, “Parco Naturale Puez-Odle” in Italian - extends to the municipalities of Badia, Corvara, San Martino in Badia, Funes, Santa Cristina, Ortisei and Selva in the Val Gardena valley. The nature reserve reaches an average height of 2,500 m a.s.l. and features an outstanding natural scenery. The Zannes Nature Trail in the Val di Funes valley is South Tyrol’s first wheelchair accessible nature path. The 14 interactive stations make you discover the beautiful natural and cultural landscape - the circular path leads also past the Piuswiese meadow and a game reserve.